This weekend I was on my own. T went to the NASCAR race in Darlington with a friend, and I stayed in Greenville with George. 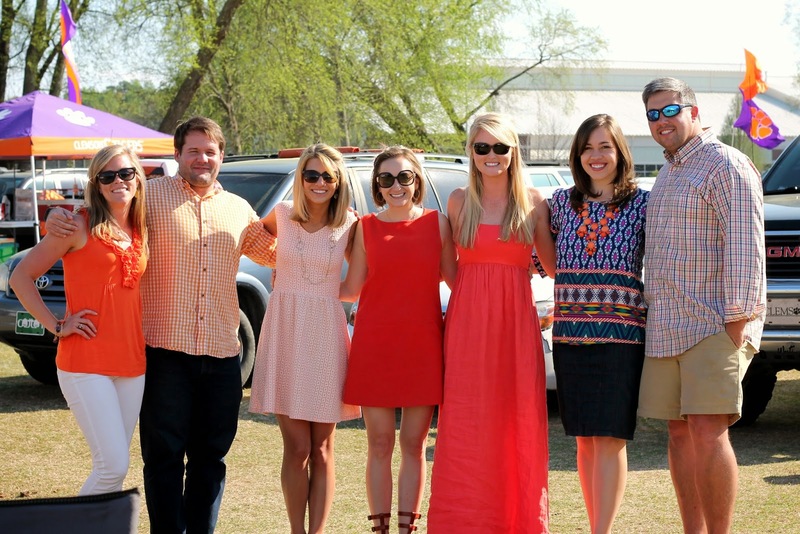 On Saturday afternoon I headed to Clemson with some friends to tailgate for the spring game. Although I only live 40 minutes away from my college town, I rarely go there. If you're not there to see the college, there's really nothing else to do. It was so much fun going back to our old stomping grounds, and eating and drinking in the college bars that we loved. 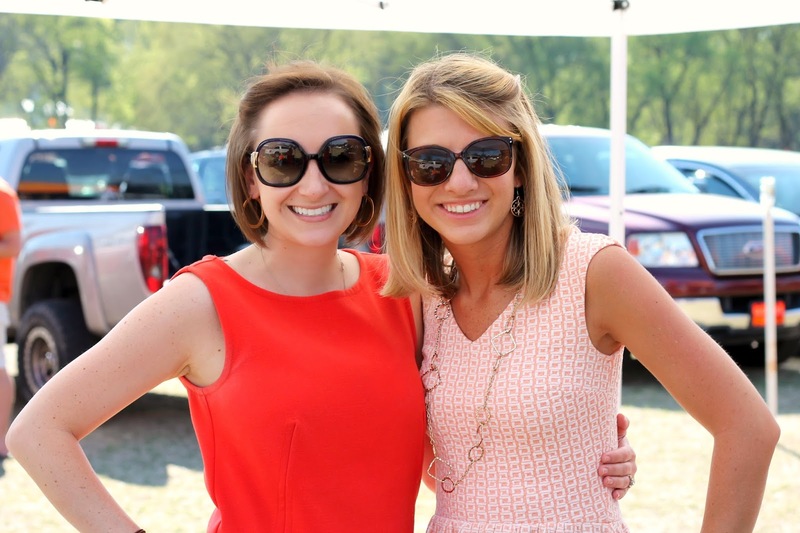 The tailgating scene is quite different for the spring game. 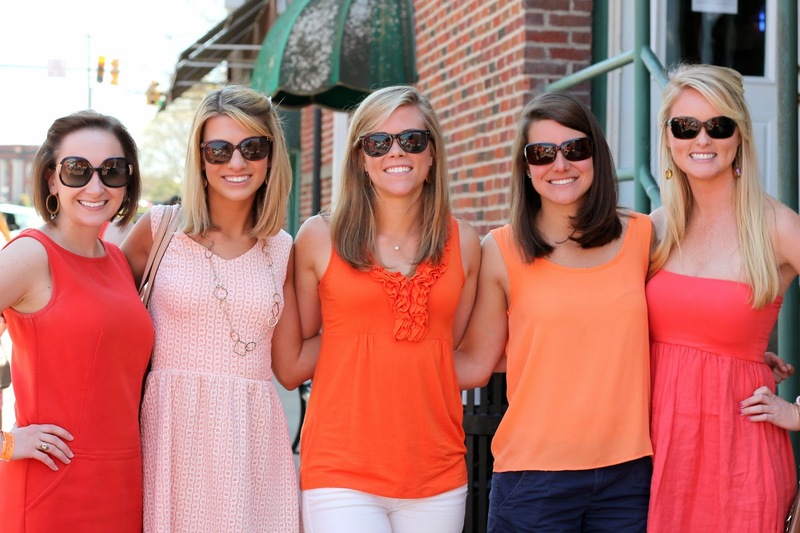 If you've ever been to Clemson for a football game during its regular season, you know just how crazy it can be. 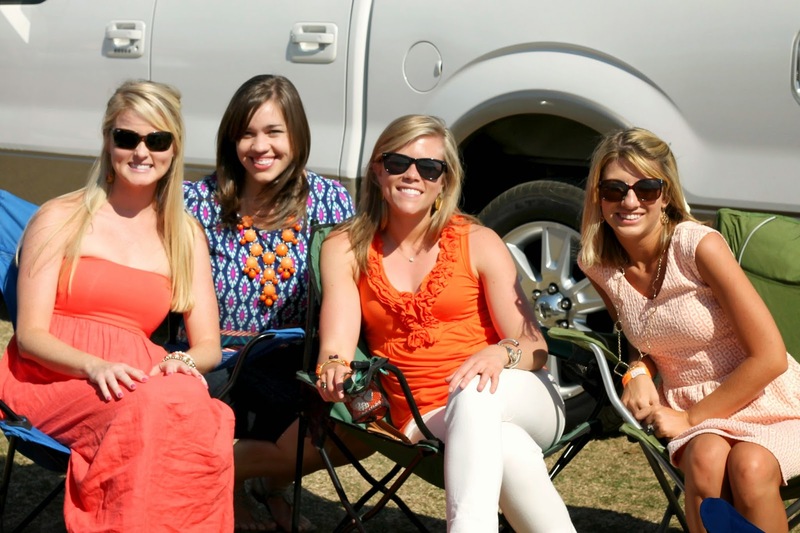 After all, we were voted The South's Best Tailgate by Southern Living Magazine two years in a row. But the spring game is much more relaxed and less crowded, which I love. Sunday was spent doing lots of home improvement projects around the house. I now know how to re-caulk a bathtub, surprisingly it wasn't that difficult and the bathroom looks so much better. I also started the process of staining our dining room table. Stay tuned for an update later on this week with pictures of the finished product. Hope everyone is having a great week! Looks so fun! Small world... I went to high school with Katie! You mentioned on Instagram that you found a Youtube video that explained how to re-caulk a tub, do you remember the link? I desperately need to do that for both of our tubs.